HUGE 4,015 SQ FT IN GILBERT’S CORONADO RANCH! This stunning home has room for everyone in the family to enjoy. Step in & awe at the soaring ceilings, gorgeous formal living & dining rooms with plush carpeting & neutral tile. Relax in the spacious family room w/ cozy fireplace. Open and bright island kitchen with corian counters, stainless steel appliances, and beautiful maple cabinets. Ground floor has an in law suite with full bath and sitting room. Don’t miss the 2nd guest suite w/ private bath. Upstairs you will find an enormous loft, luxurious master suite & over sized secondary bedrooms. The backyard features will truly amaze you. Sparkling pool w/ extended cool deck, fire place, bbq and media center. All professionally designed to bring your outdoors to life. All this in a master planned community offering 32 acres of parks, basketball, volleyball, tot lots, Trails, and a water park coming soon. 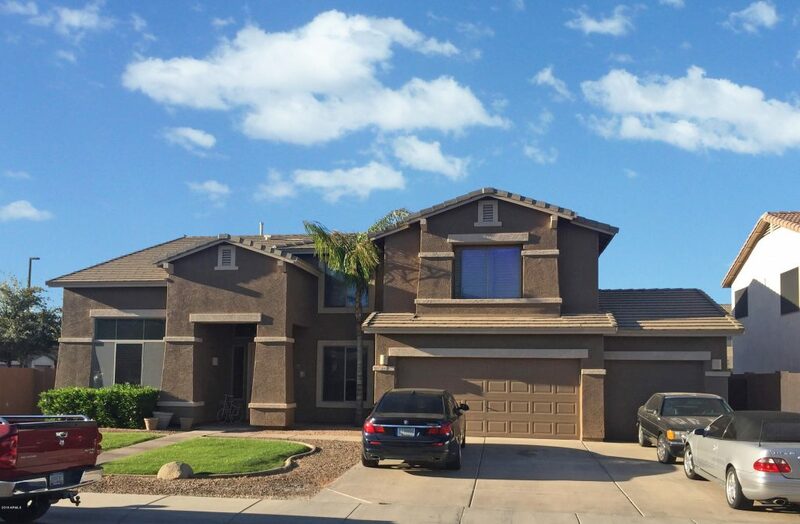 Walking distance to local schools, and great Gilbert location just minutes from ample dining and entertainment options, award wining golf courses, SanTan Village, Gateway Airport, ASU Polytechnic Campus, and much more.